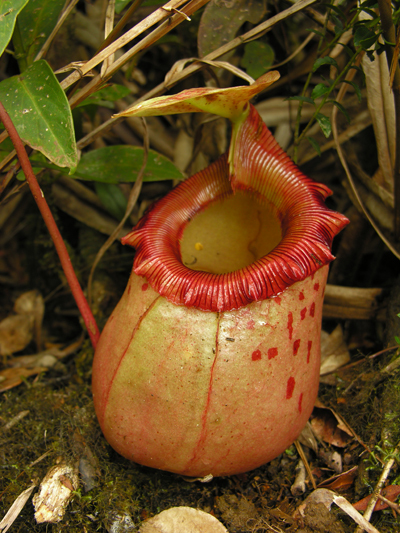 to Nepenthes ventricosa but the pitchers of this species are much larger. 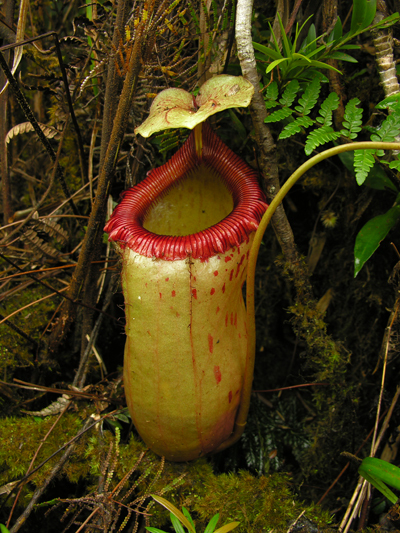 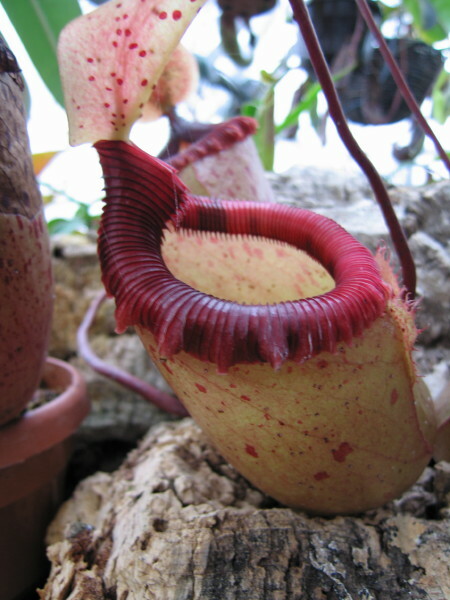 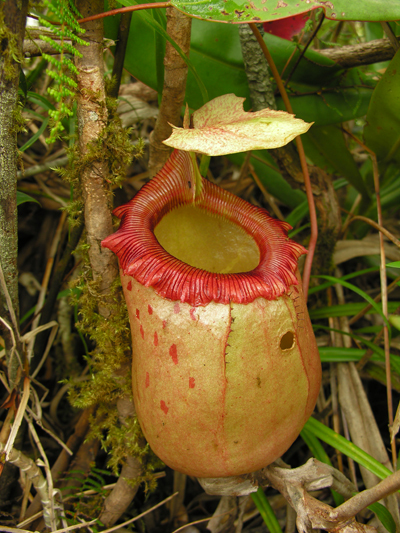 Pitcher colouration varies from pale pink or orange to deep red or purple. 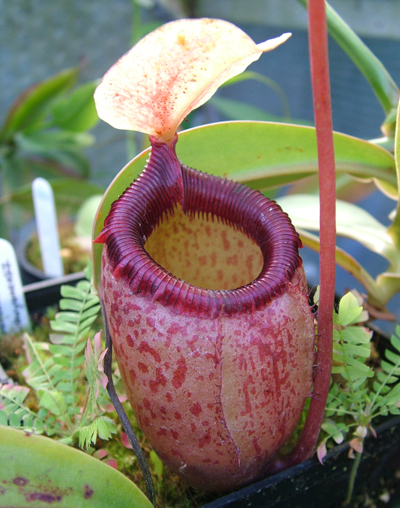 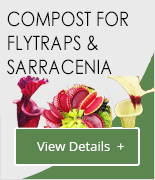 This is one of the easier to grow Nepenthes.